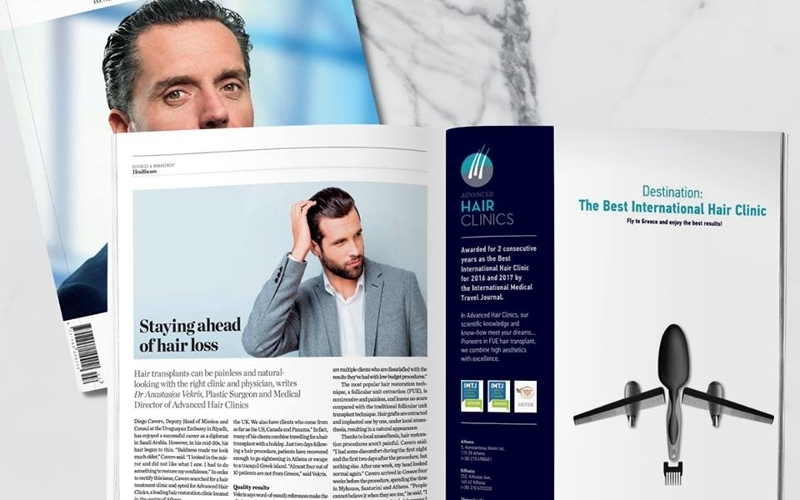 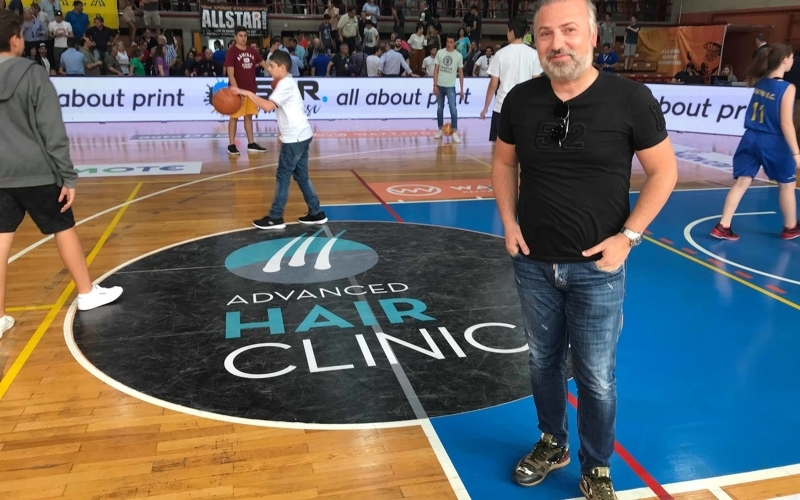 Founder and Scientific Director of Advanced Hair Clinics is plastic surgeon, Dr. Anastasios Vekris MD, member of the ISHRS (International Society of Hair Restoration Surgery). 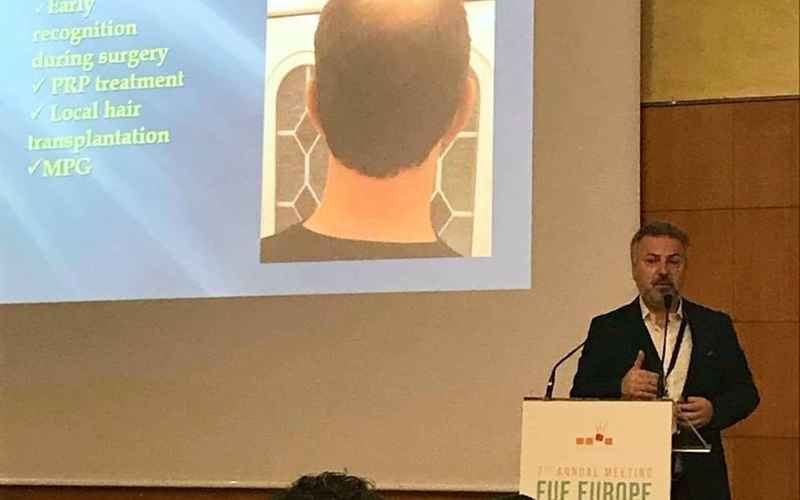 Dr. Vekris is a highly trained microsurgeon and is considered one of the world’s leading experts in hair transplantation with extensive experience in FUE, and has performed many hair transplant operations in Greece, Europe, America, and many countries in the Middle East. 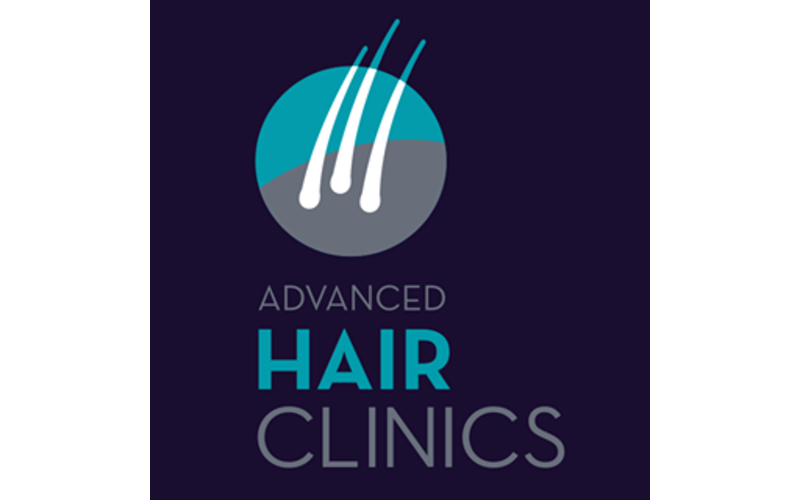 At Advanced Hair Clinics, we aim to offer our clients the most effective treatment available and the best natural-looking results. 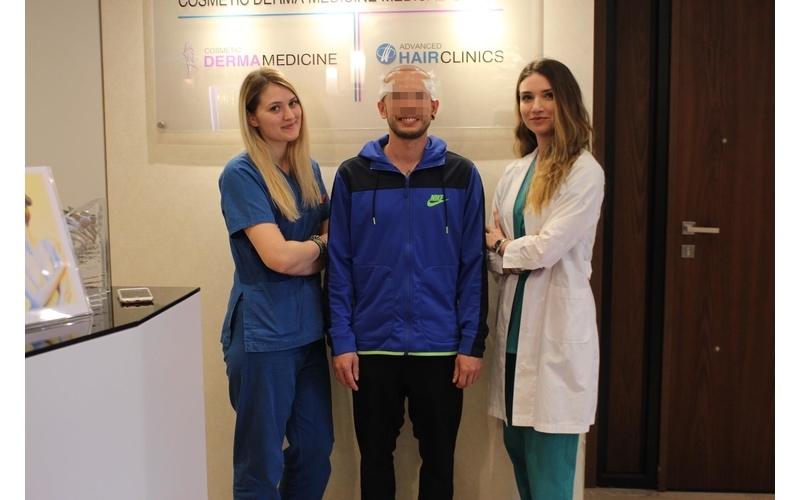 The fully organized and equipped Plastic Surgery Department of Cosmetic Derma Medicine provides care for patients with a wide range of both Reconstructive & Plastic Surgery needs. 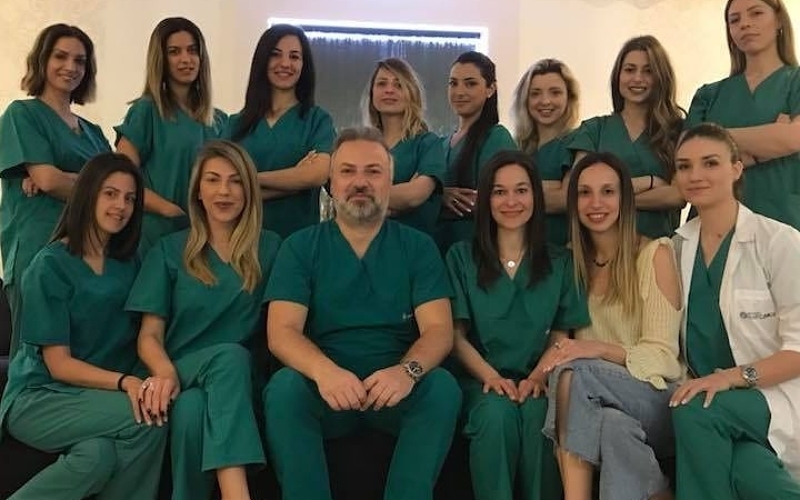 Our team of board-certified Plastic Surgeons has years of experience and expertise in Blepharoplasty, Otoplasty, Rhinoplasty, Breast Augmentation, Abdominoplasty, Liposuction etc. 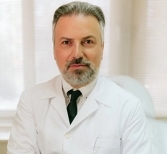 Plastic surgeon Dr. Vekris has extensive experience in the treatment of burns and in hand surgery. 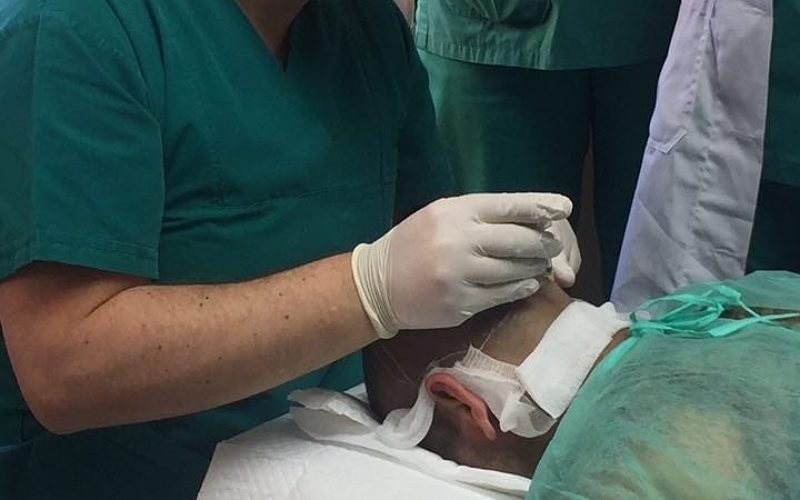 He is a highly trained microsurgeon and is considered to be one of the leading experts worldwide in hair transplantation, having performed many hair transplant operations in Greece, Great Britain, France, the US, and many countries in the Middle East. 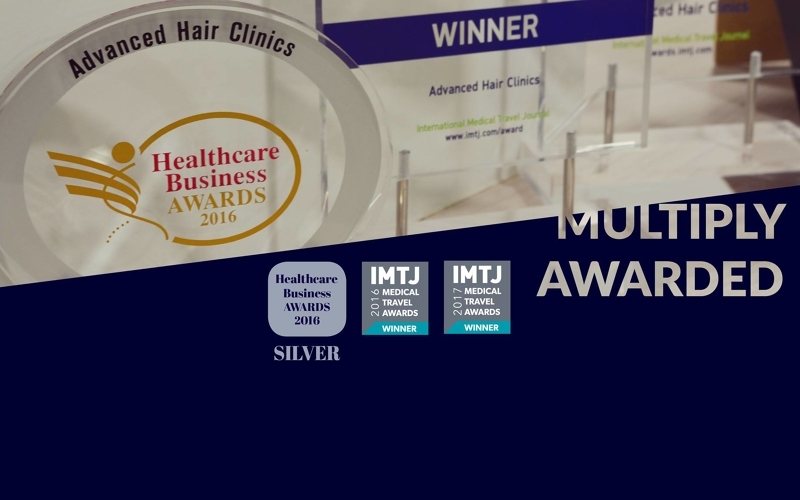 His patients include many internationally renowned personalities from the world of show business, media and business. 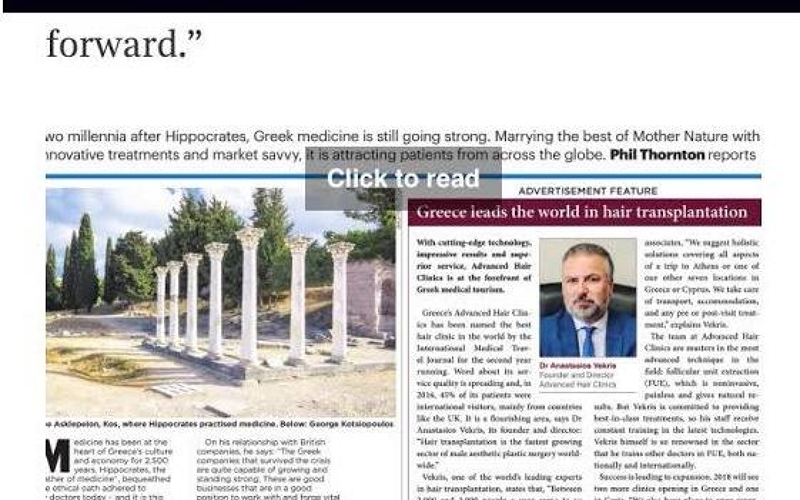 He has been Scientific Director and Director of Medical Education and Research of DHI International Medical Group. 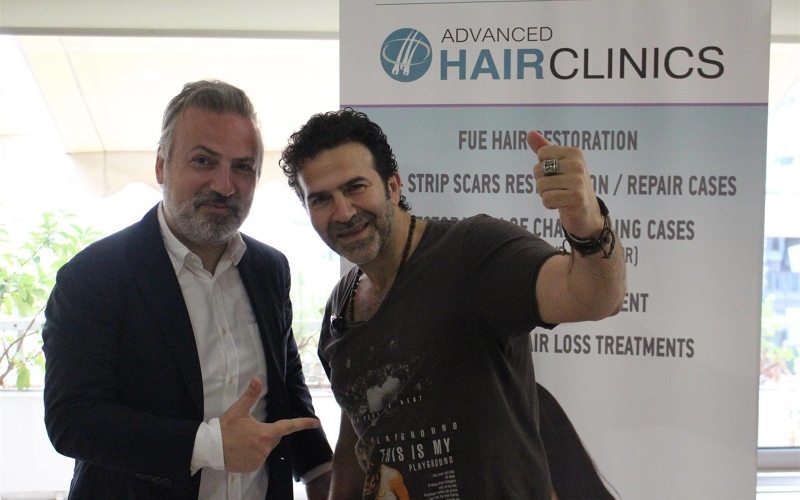 He is the founder and scientific director of Advanced Hair Clinics and Cosmetic Derma Medicine Medical Group in Athens. 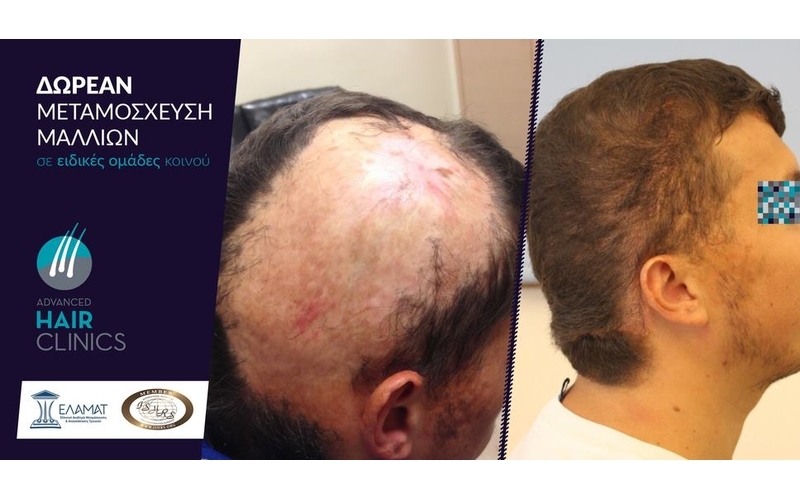 He has been involved with the FUE transplantation technique for more than 10 years, having performed more than 3000 cases, more than any other Greek doctor. 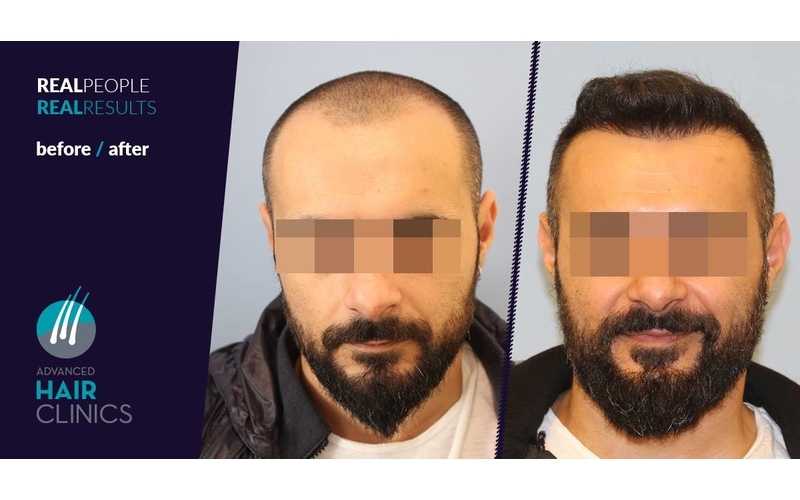 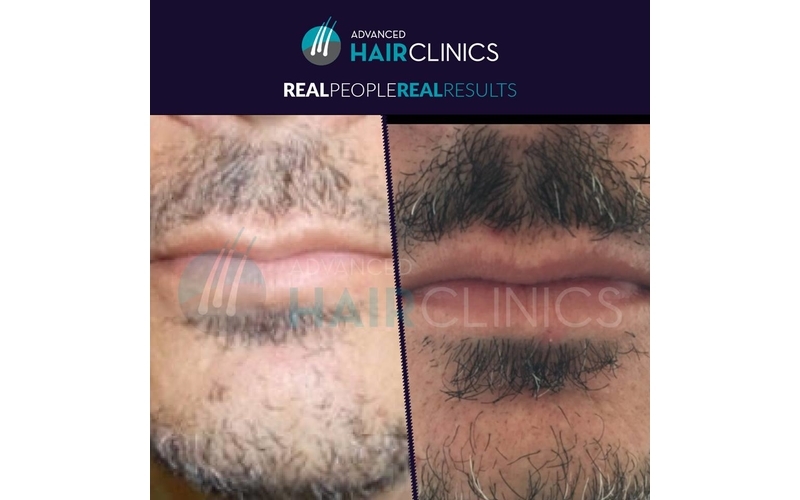 Thanks to his specialisation in FUE, he has performed a significant number of difficult and specialised cases, such as eyebrow transplantation, beard transplantation, body hair FUE, and restoration of scars from previous hair implant surgeries with FUT or strip technique. 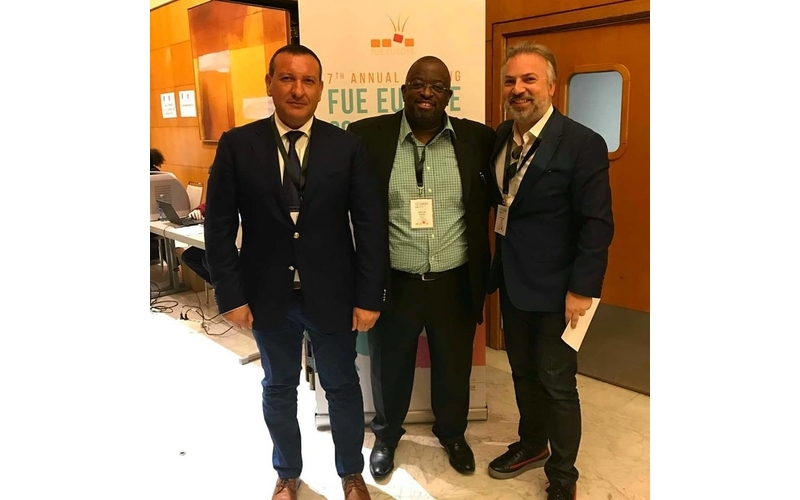 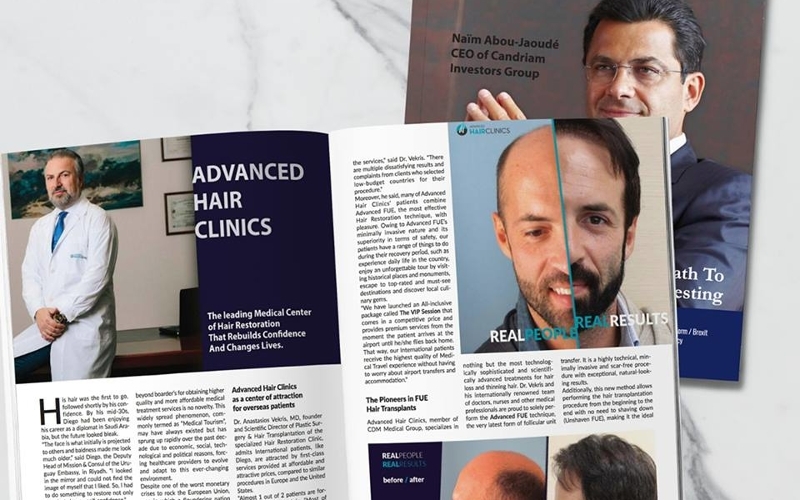 He has trained dozens of doctors and nurses, both in Greece and in many countries abroad, in hair transplantation, especially in the FUE method. 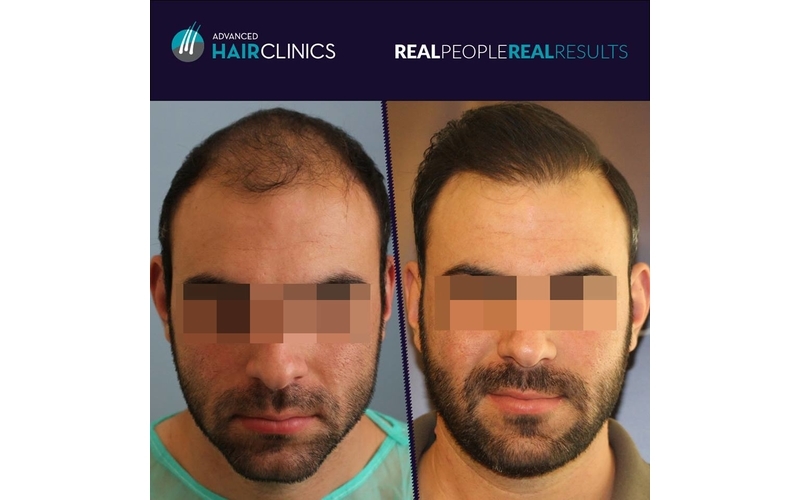 The concept of the VIP session is ideal for clients from around the world that seek top quality services and the best possible result for their FUE Hair Transplant procedure. 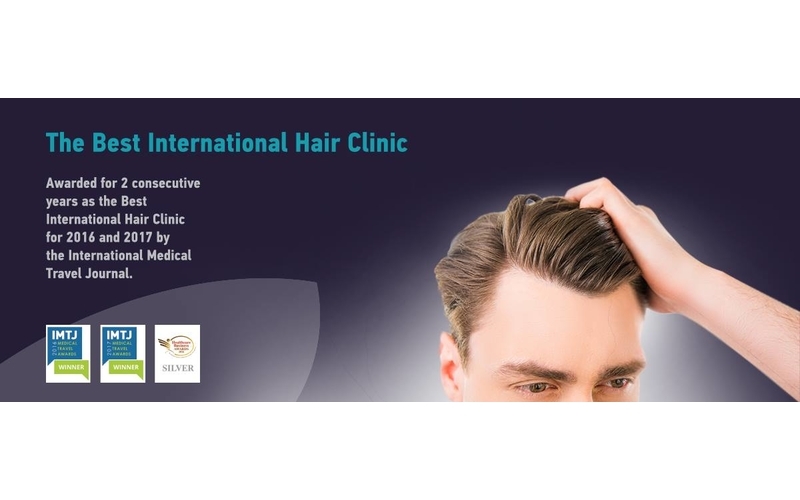 The session takes place ONLY in Athens, Greece, at the luxurious medical facilities of Advanced Hair Clinics. 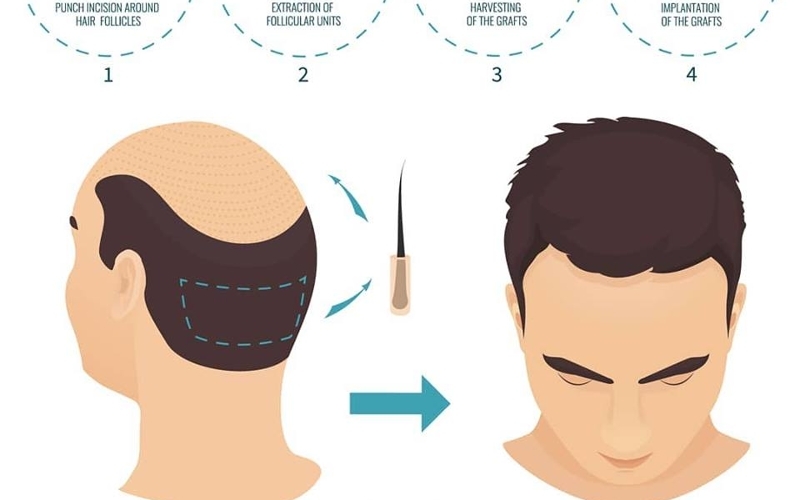 The hair restoration program includes the FUE Hair Transplant session of unlimited number of grafts (minimum 5.000 single hair follicles) in one day. 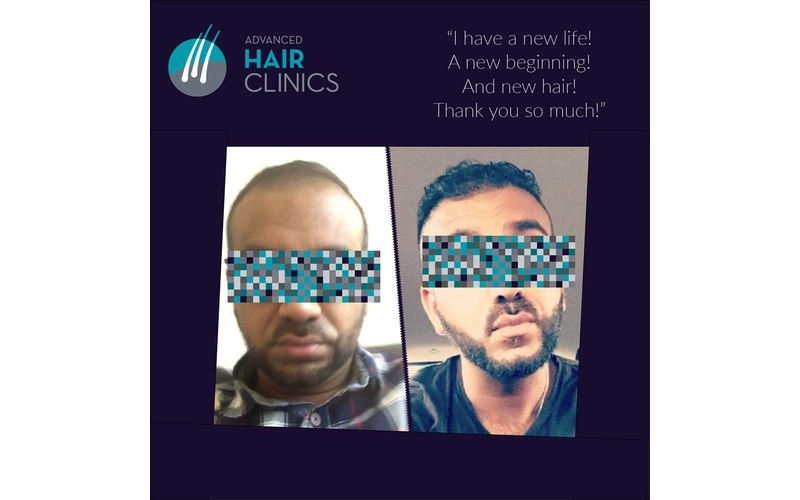 If more is required, there is an option for a second day session under an extra charge. 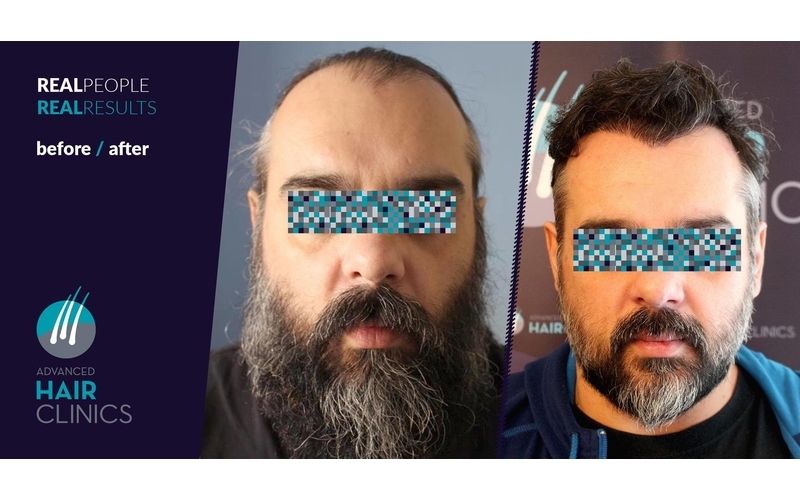 Special cases such as: beard / eyebrows / scar repair / body hair restoration will be addressed separately. 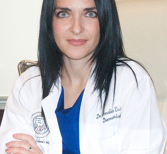 Scientific Director of Cosmetic Derma Medicine and Head of Dermatology Department is the Dermatologist – Venereologist, Dr. Amalia Tsiatoura. 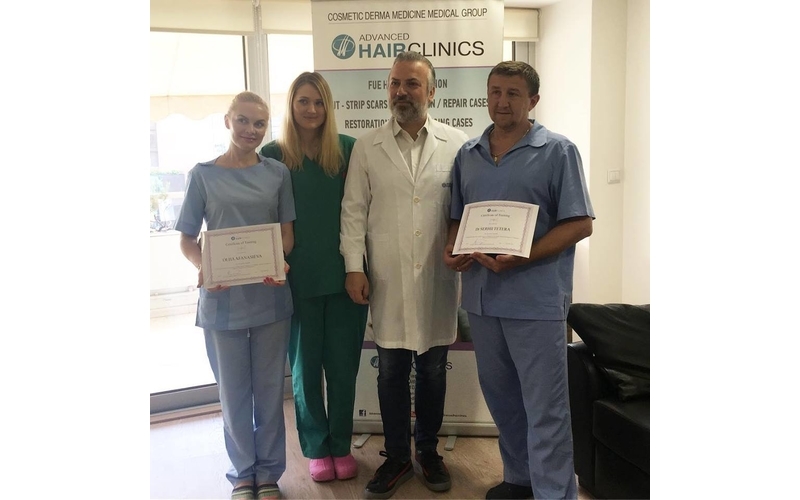 Scientific Director of Plastic Surgery & Hair Transplant Department and CEO of CDM Medical Group is the Plastic Surgeon, Dr. Anastasios Vekris, member of ISHRS. 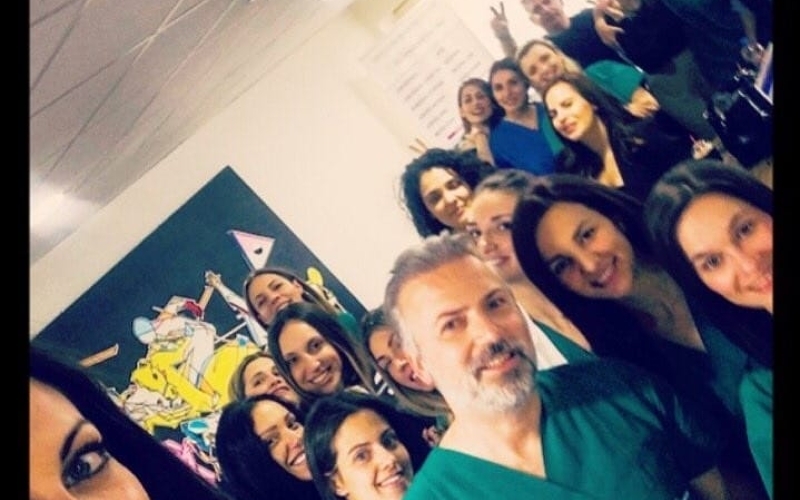 Dr. Tsiatoura is considered as one of the leading experts in aesthetic laser applications in Greece and Europe. 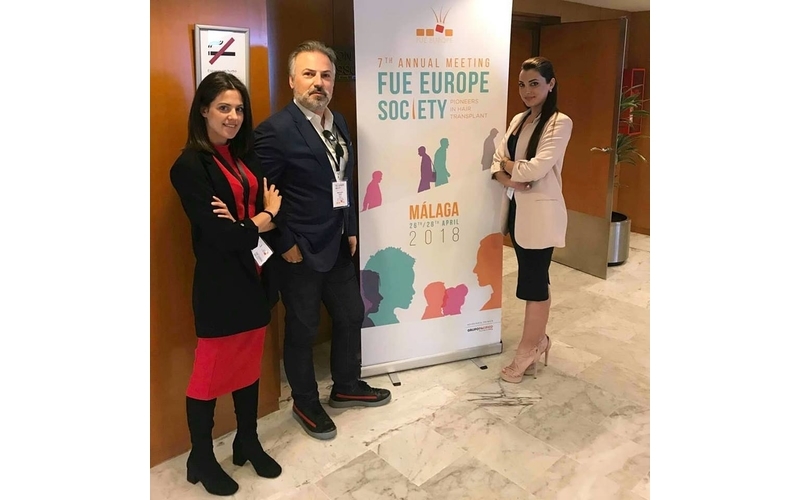 She ranks among the founders of the Cosmetic Derma Medicine Medical Group, where she holds the position of Scientific Director of the Department of Dermatology-Venereology and laser applications. 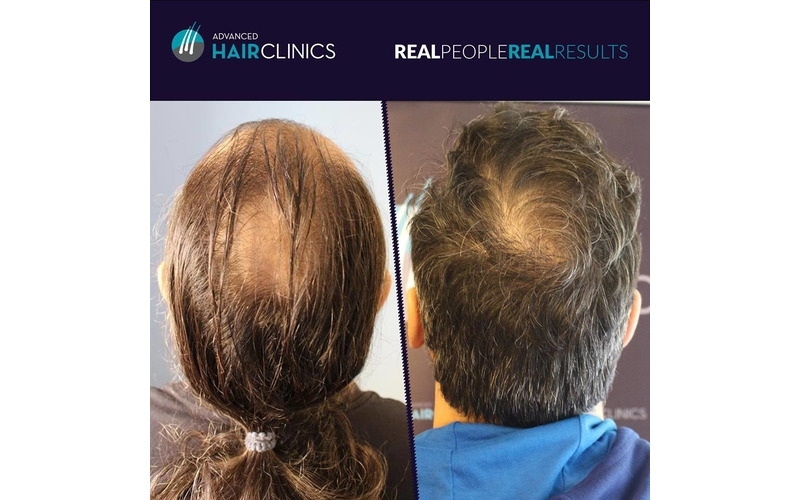 She is also a research associate at Advanced Hair Clinics as expert dermatologist for conservative treatments of hair loss. 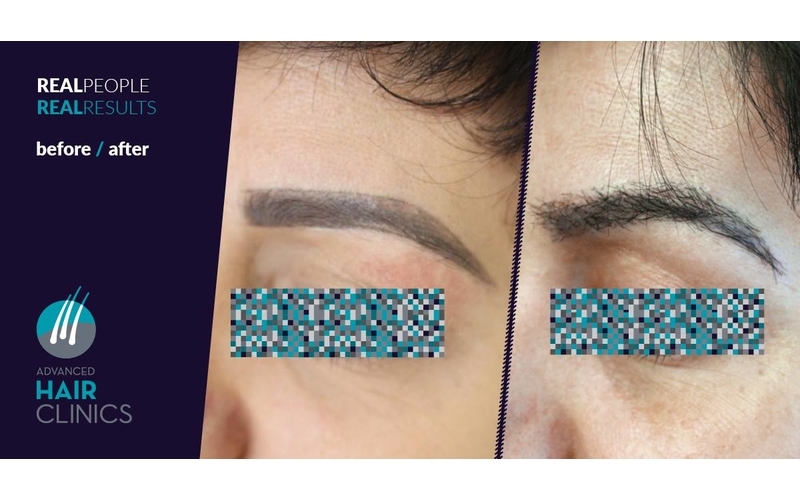 Dermatology & Aesthetic Medicine Dept: Along with our experienced Medical team, our Dermatologists provide customized treatment for clinical-aesthetic issues and invasive procedures, such as blepharoplasty, laser liposuction and otoplasty, all of which are safely performed in our premises. 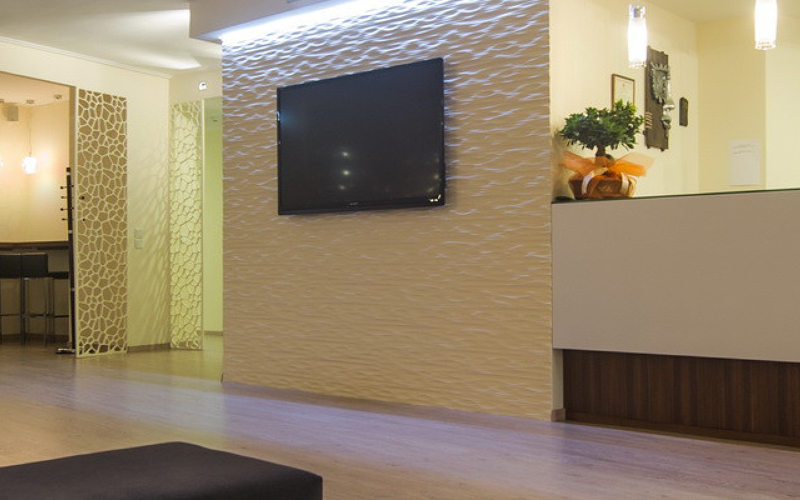 Plastic Surgery Dept: The fully organized and equipped Plastic Surgery Department of Cosmetic Derma Medicine provides care for patients with a wide range of both Reconstructive & Plastic Surgery needs. 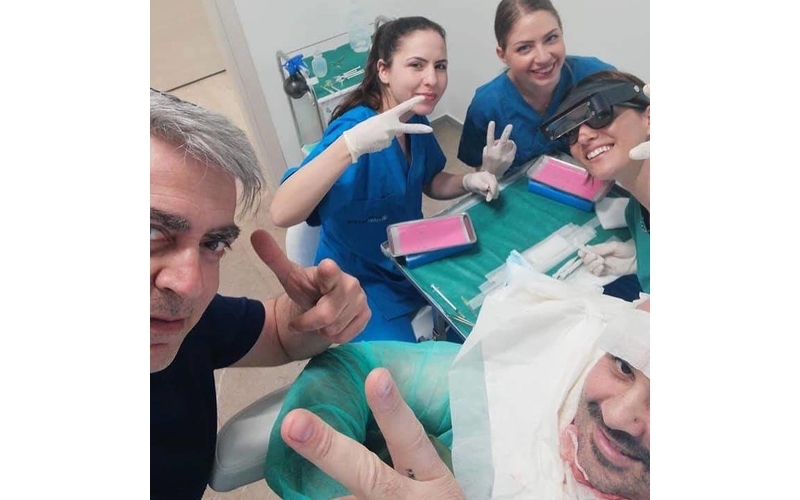 Our team of board-certified Plastic Surgeons has years of experience and expertise in Blepharoplasty, Otoplasty, Rhinoplasty, Breast Augmentation, Abdominoplasty, Liposuction etc. 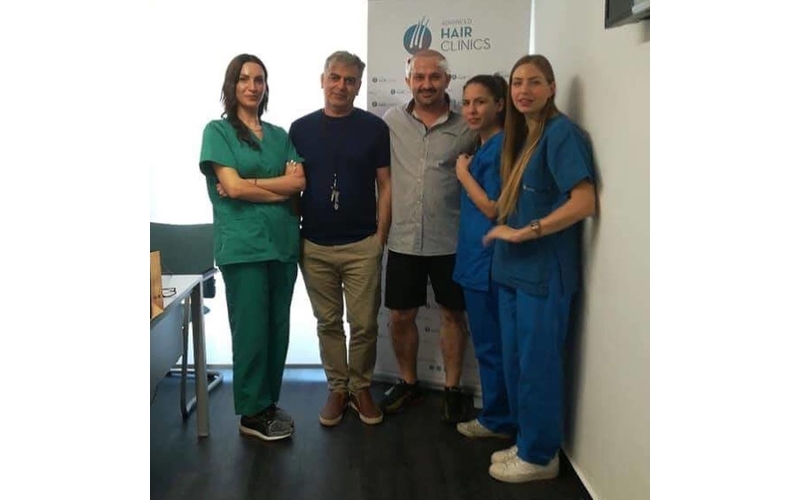 Hair Restoration Dept: The well-trained and competent team of doctors and nurses of Advanced Hair Clinics, the largest and most advanced Clinic of Hair Restoration in Greece and Cyprus, solely performs the most sophisticated FUE technique, the Advanced FUE, as well as a wide range of fully personalized treatments and solutions for hair related problems. 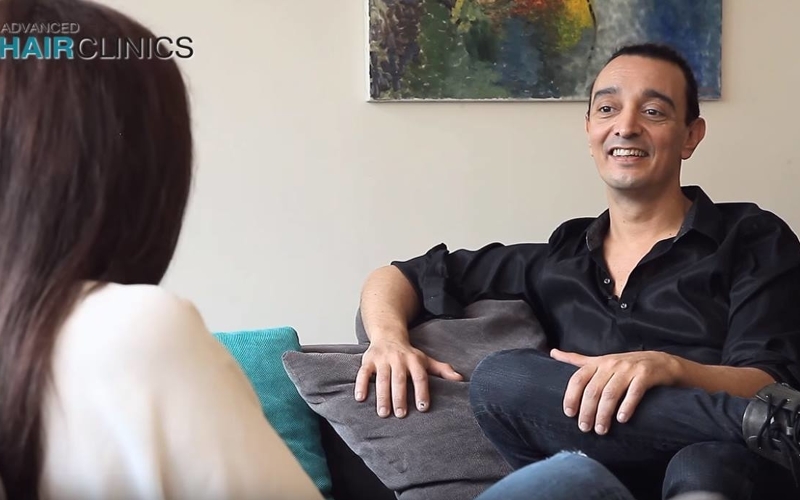 Diet & Nutrition Dept: The Dietitian Nutritionist Anna Kompou will create your individualized nutrition plan to match your needs and suggest a customized panel of tests to help you lose weight and improve your diet. 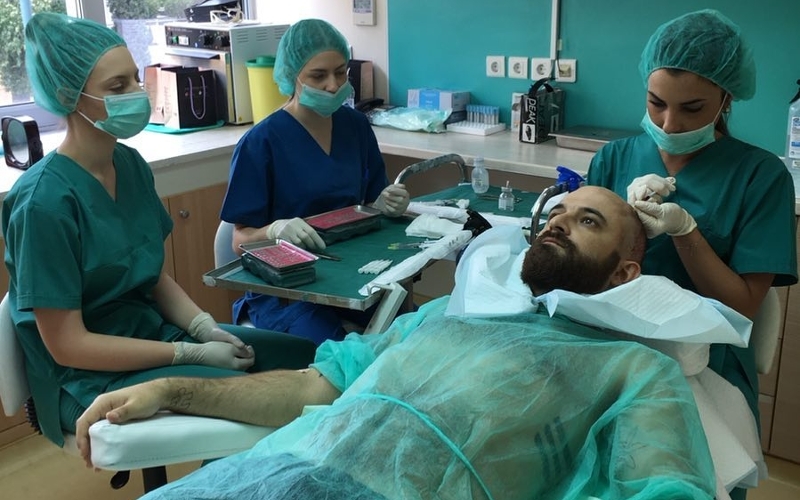 The department is equipped with the latest systems (metabolic measurement system, Body fat analysis and measurement, Sensitivity Measurement of Nutritional Indicators). 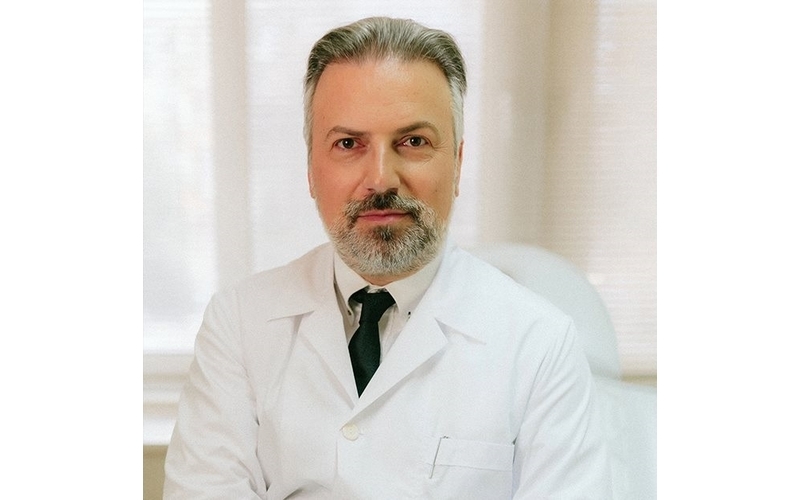 Vascular Surgery Dept: Scientific Director of the department is the Angiologist and Vascular Surgeon, Dr. Christos Rigopoulos. 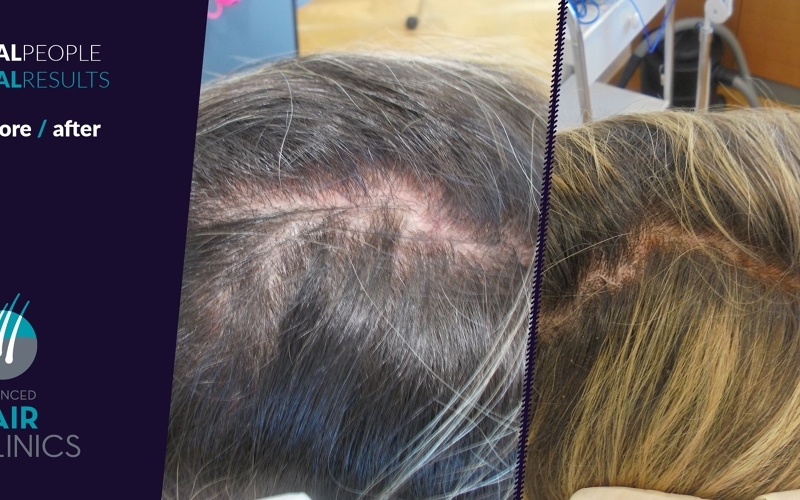 Here, you will find treatment for spider veins, varicose veins etc. 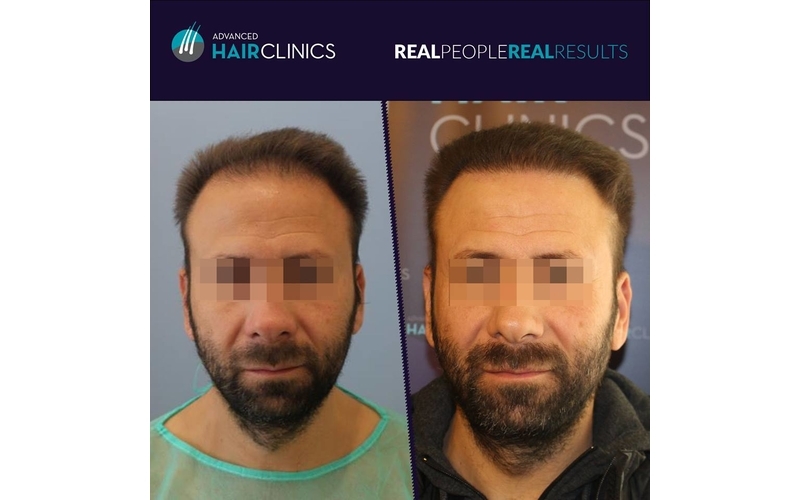 Dr. Anastasios Vekris is a specialised plastic surgeon, member of HESPRAS (Hellenic Society of Plastic Reconstructive & Aesthetic Surgery), registered in the Specialist Registry of the General Medical Council in Great Britain, member of ISHRS (International Society of Hair Restoration Surgery), IPRAS, whereas he is a member in a number of Greek and international scientific societies.δρ-αναστάσιος-βεκρής-συνεδρίαHe completed his undergraduate education at the Medical Faculty of the University of Ioannina. 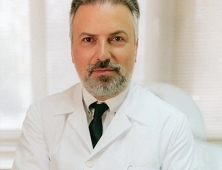 He specialised for many years in General Surgery and Plastic, Reconstructive and Aesthetic Surgery, Microsurgery and Burns at the University Hospital of Ioannina and Latseio Burns Centre in Athens.After receiving the specialty of Plastic Surgery, he worked as Registrar at the University Clinic of Plastic Surgery and Burns of the Academic General Hospital of Ioannina. 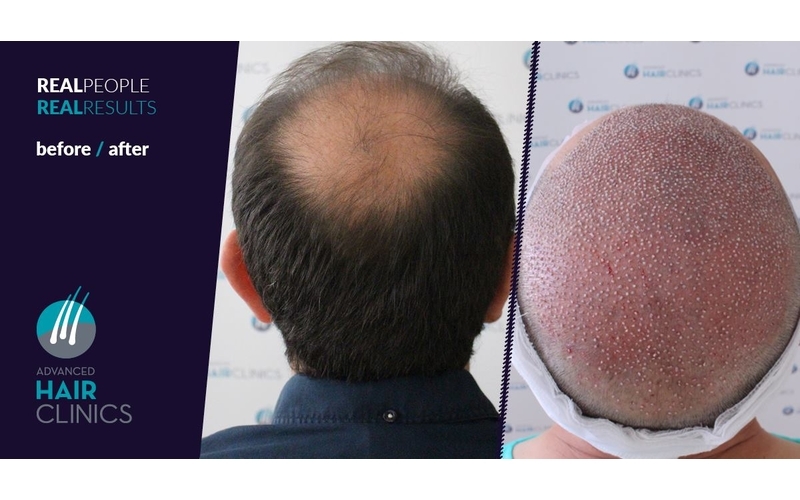 He specialised in alopecia restoration surgery and hair transplantation at some of the most renowned centres abroad, among others under Dr. J.C. Kim of the KNU University Hospital of South Korea, in London, and in San Francisco. 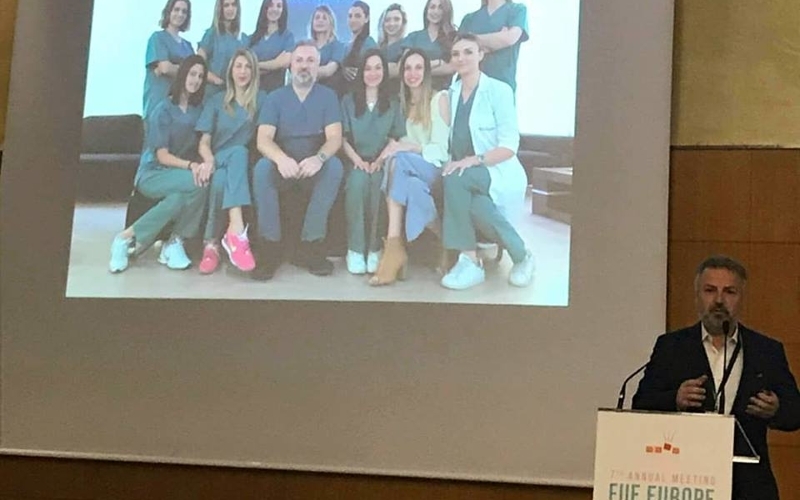 Dr. Amalia Tsiatoura, dermatologist – venereologist is a graduate of the Medical School of the University of Ioannina and received her degree with a grade of ‛EXCELLENT’. 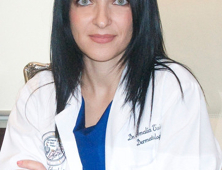 She has worked for many years in the departments of Pathology and Anatomical Pathology at the University Hospital of Ioannina and completed her specialisation in dermatology-venereology at the largest Dermatology Hospital of Greece, the ‛Andreas Syggros’ Hospital of Cutaneous & Venereal Diseases, where she held the position of research assistant in the Peeling-Hyperhidrosis and Psoriasis Departments for many years as a specialised dermatologist and venereologist. 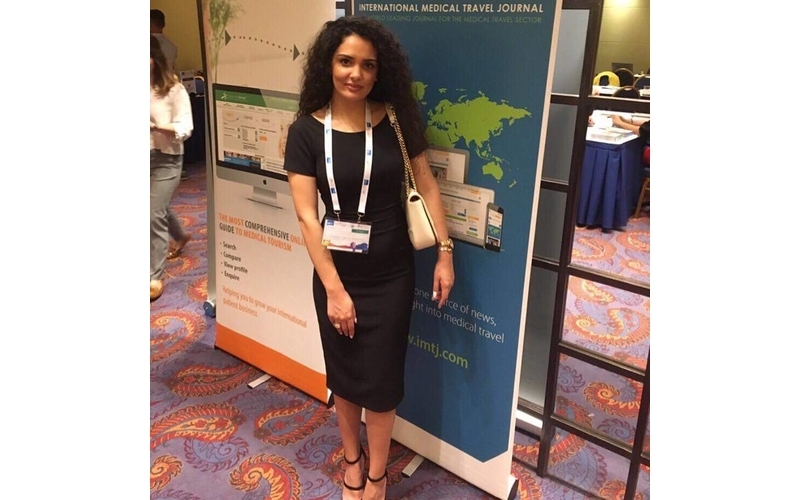 She completed her postgraduate studies in Aesthetic Dermatology and Laser on scholarship at the University of Colorado Hospital, in Denver, Colorado, USA. 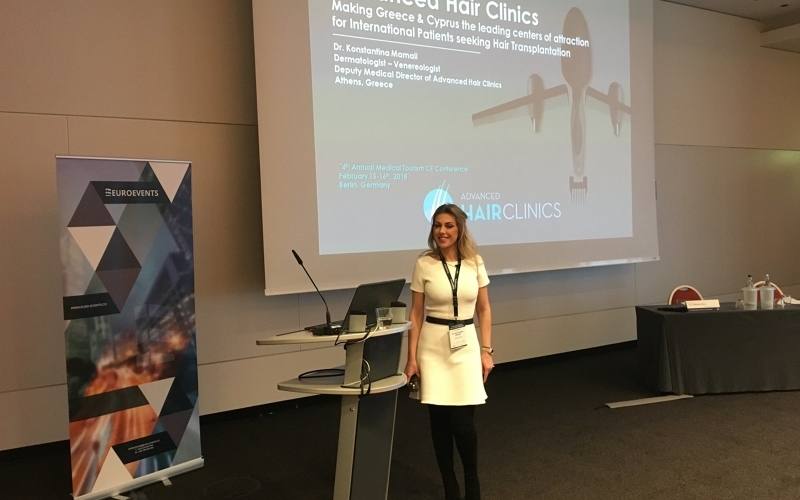 She is an expert in Dermal Oncology and methods for dermoscopy and mole mapping, having completed extended training at the Dermatology Department of the University of Graz, Austria. 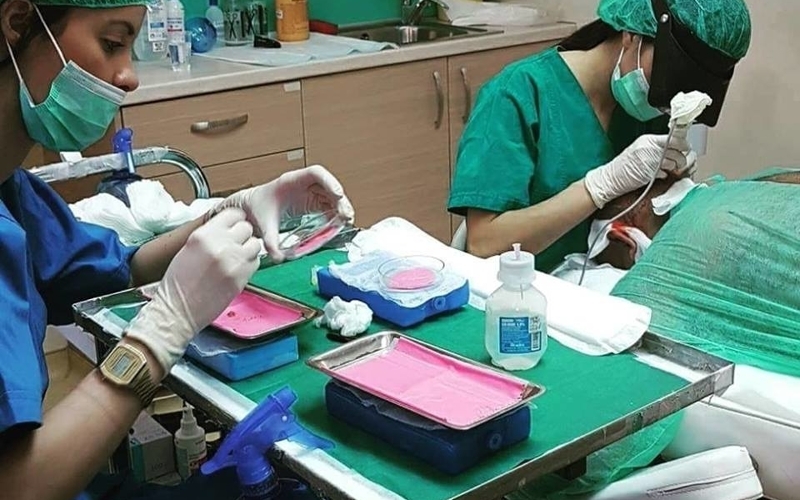 Her PhD thesis is entitled: “Immunohistochemical study of angiogenesis and lymphangiogenesis in basal cell and squamous cell skin carcinoma and precancerous skin lesions. 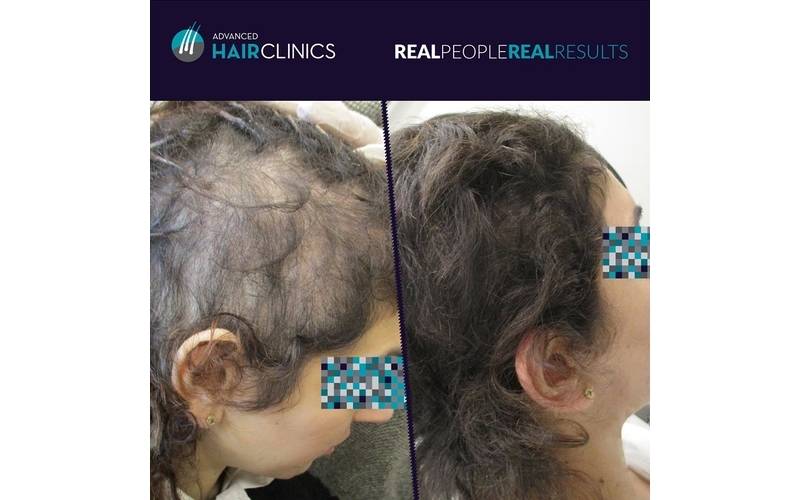 Correlation with clinical parameters”. 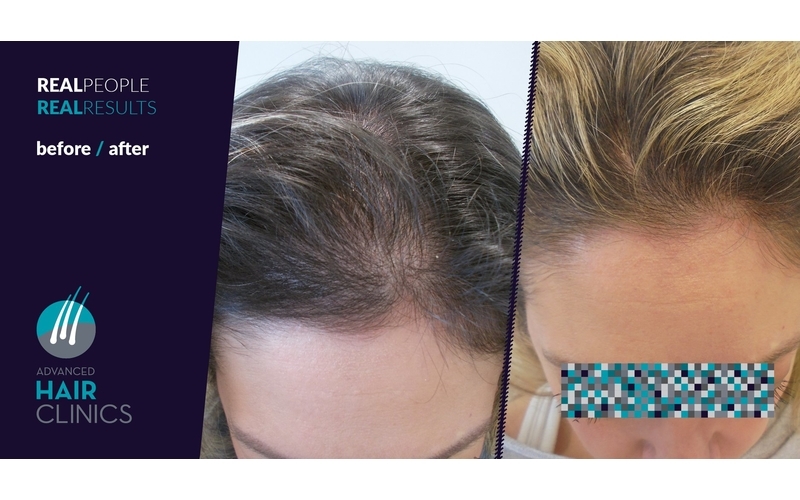 She has also participated as ‛investigator’ in many research protocols and clinical studies on psoriasis and other dermatological diseases. 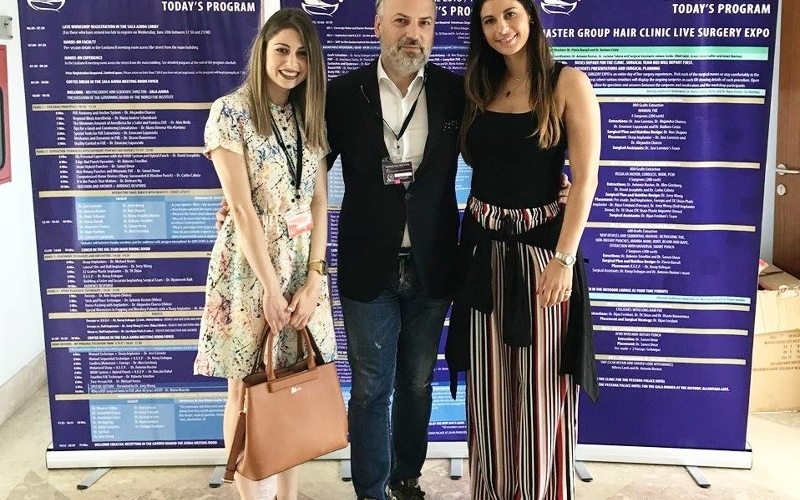 Dr. Amalia Tsiatoura has published articles in many renowned international and Greek scientific journals and has been invited to participate as a speaker and moderator at numerous international and nationwide conferences on various subjects of clinical and aesthetic dermatology, such as hair loss, warts, acne, laser applications etc. 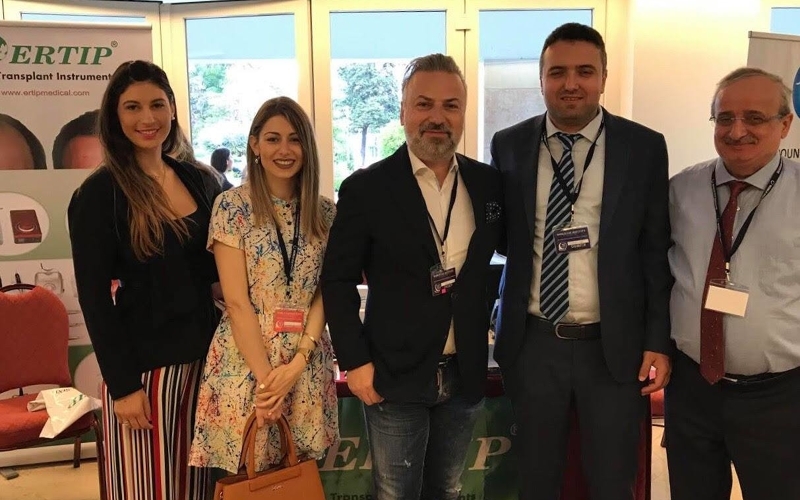 She has published articles in daily newspapers and numerous magazines and has participated as a guest on many TV shows of medical interest. 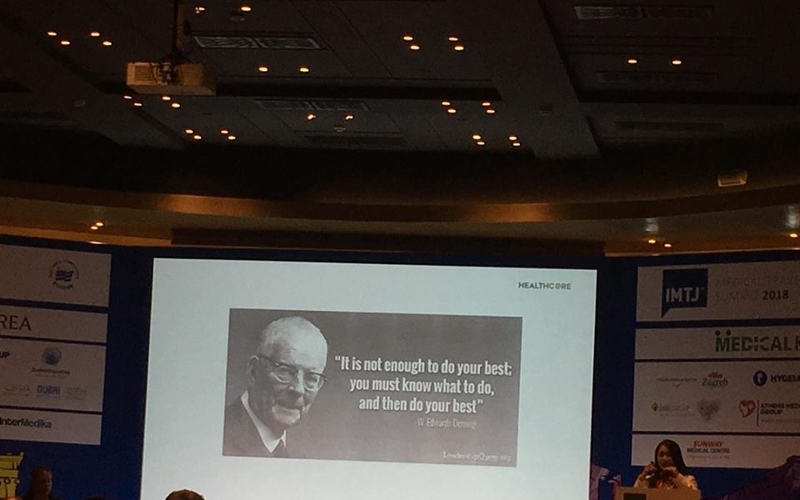 During and after her specialization, she has been honoured with several awards for the publication of her scientific papers at conferences, and in 2009 she was rewarded with a special scholarship in memory of Prof. I.D. 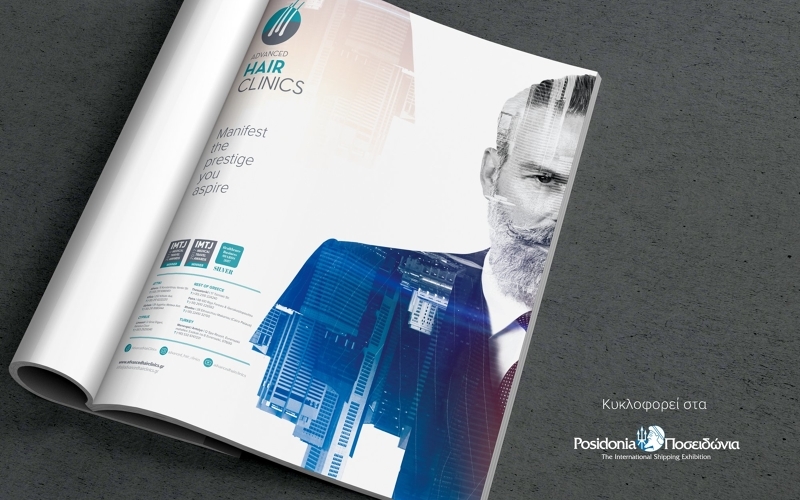 Stratigos by the 3rd Clinic of the ‛A. 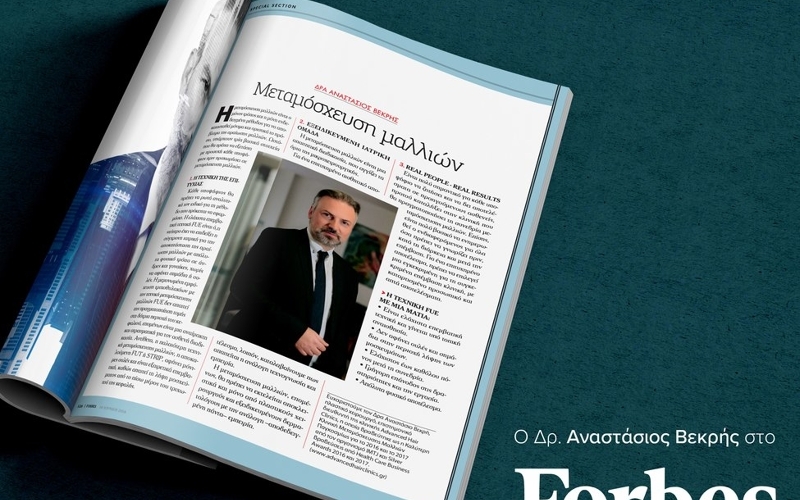 Syngros’ Hospital. 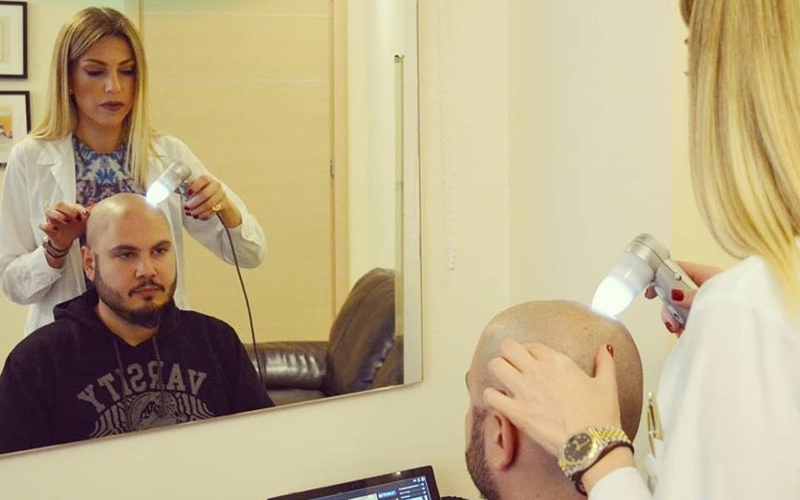 She is married and mother of two children. 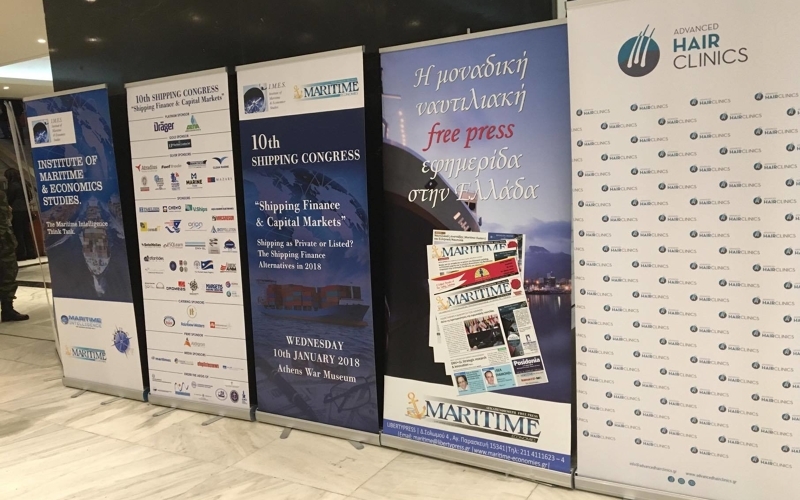 The light, the endless blue and the art of beauty as depicted on the monuments of Athens always welcome visitors from all over the world to the Greek capital. 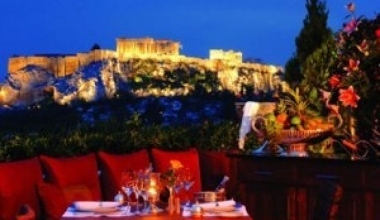 In the centre of Athens, you will have the time to enjoy endless sightseeing – from the picturesque Plaka to walks around the historic city centre – drink your coffee or have lunch at Flisvos Marina, next to the sea and dine somewhere in the centre while you enjoy a panoramic view to Acropolis or Filopappou hill. 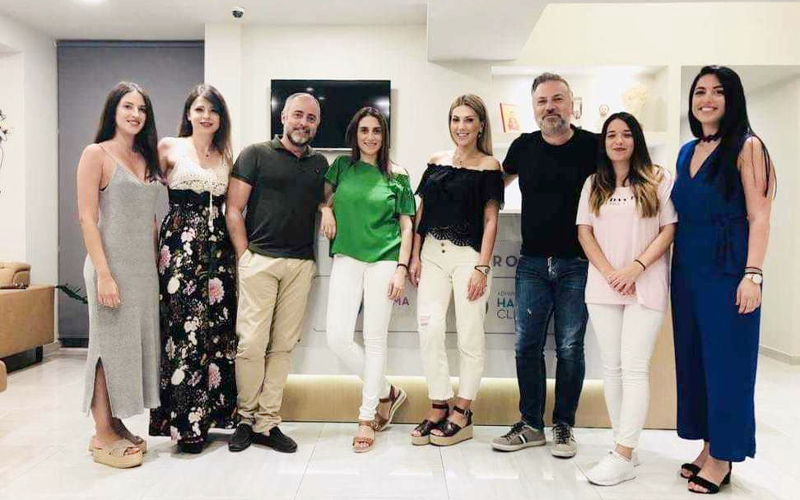 Every summer, more and more people decide to combine travelling, vacation and aesthetic treatments in order to improve their looks and gain back their self-confidence. 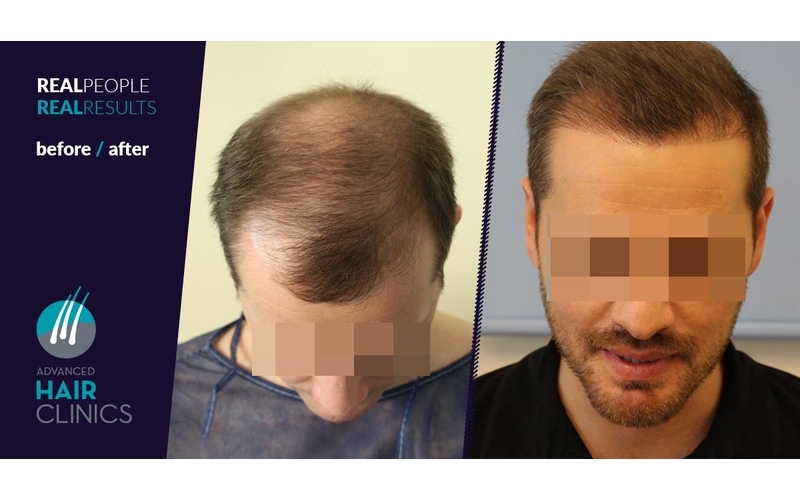 One of these minimally invasive treatments is Hair Transplant with the Advanced FUE method, the most effective hair restoration method worldwide. 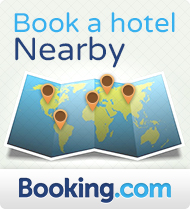 In the centre of Athens, you will have the time to enjoy endless sightseeing – from the picturesque Plaka to walks around the historic city centre – drink your coffee or have lunch at Flisvos Marina, next to the sea and dine somewhere in the centre while you enjoy a panoramic view to Acropolis or Filopappou hill. 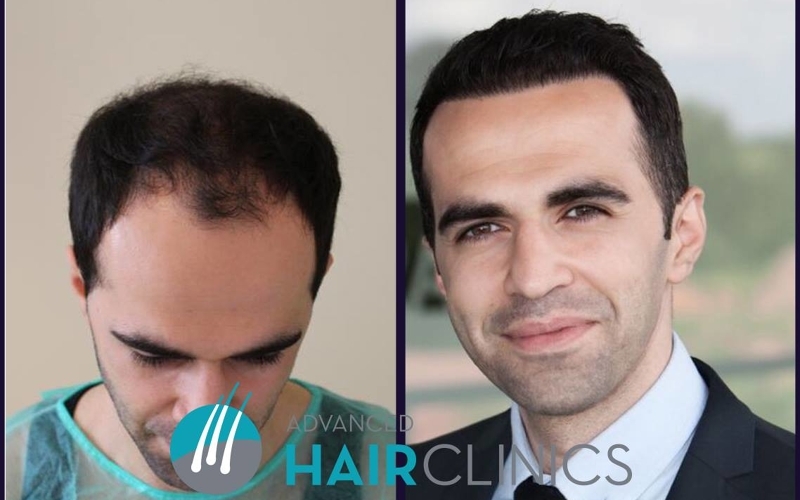 Advanced Hair Clinics is the largest and most modern clinic of Hair Restoration in the centre of Athens, behind the Hilton Hotel. 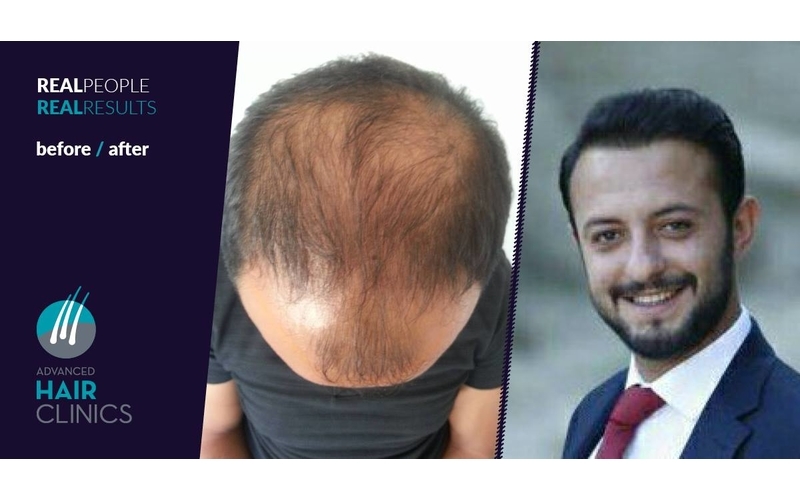 Specialized in the field of Diagnosis and Treatment of male and female hair loss, through the implementation of the most developed Hair Transplant technique, the Advanced FUE, performed by specially trained doctors, pioneers in the field of hair transplantation, with extensive and long lasting experience.